Benefits of Long Beans- Long beans are one type of vegetable that is already familiar to the people of Indonesia. Apart from containing many nutrients, the benefits of high seeds are also related to breast size and glucose levels. Long beans have the Latin name Vigna unguiculata sesquipedalis soup and are vegetables that commonly grown in warm temperate regions, such as countries in South and Southeast Asia. What are the Benefits of Long Beans? The benefits of many long beans come from minerals and vitamins contained in them. 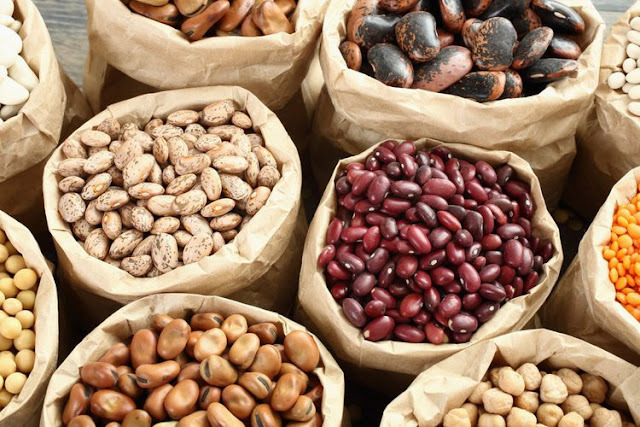 Among them are vitamin A, thiamin, riboflavin, niacin, pantothenic acid, vitamin B6, folic acid and vitamin C. Meanwhile, a row of minerals contained in long beans are calcium, iron, magnesium, manganese, phosphorus, potassium and sodium. A study in Indonesia tried to prove the notion that had been believed so far regarding the benefits of long beans to enlarge the breasts. Based on these studies, this might happen considering long beans contain phytoestrogens which are natural estrogens found in plants. The compounds included in phytoestrogens include flavonoids (flavones, flavonols, flavanones, isoflavones, and anthocyanidins), coumestans, lignans, and stilbene. The presence of phytoestrogens in long beans apparently can stimulate the growth of epithelial cells in the breast if estrogen receptors join them. This process is called estrogenic effect. The estrogenic effect occurs because breast epithelial cells are very responsive to estrogen, which in turn can trigger breast development. Benefits of Long Beans - Another research was conducted to find out the potential benefits of long beans to reduce glucose or blood sugar levels. The study was carried out by extracting long bean seeds to be analysed scientifically on the antihyperglycemic and antinociceptive properties it has. However, research on the antihyperglycemic activity of long beans is still limited to testing with glucose tolerance tests orally in animals. There is no clinical evidence regarding this effect in humans, so further research is still needed. 0 Response to "Benefits of Long Beans on Breast Size and Glucose Levels"